Every year, HEC Montréal awards close to $1.6 million in scholarships and other forms of awards to M.Sc. students. What a great way to help finance your studies! These scholarships, worth from $2,000 to $4,000, are awarded by the MSc in Administration program office to the top candidates admitted, based on their academic record at the time of admission. There are no applications to be completed; successful candidates will be notified by e-mail. For international students who have never studied in Canada, a differential tuition fee exemption scholarship for the first term may be added to an entrance scholarship. Federal and Quebec government granting agencies award scholarships worth $15,000 and $17,500 to students with an excellent average and who wish to pursue their studies at the Master’s level. Annual $17,500 scholarships for students in all specializations except Financial Engineering, Management Sciences and Business Intelligence. Annual $17,500 scholarships for students in the Financial Engineering, Management Sciences and Business Intelligence specializations. Annual $17,500 scholarships, awarded for two years, for students in all specializations except Financial Engineering, Management Sciences and Business Intelligence. Annual $17,500 scholarships, awarded for two years, for students in the Financial Engineering, Management Sciences and Business Intelligence specializations. $15,000 scholarships awarded for a 4-6 months research internship in a company. Students in the supervised project or thesis streams are eligible for these scholarships. 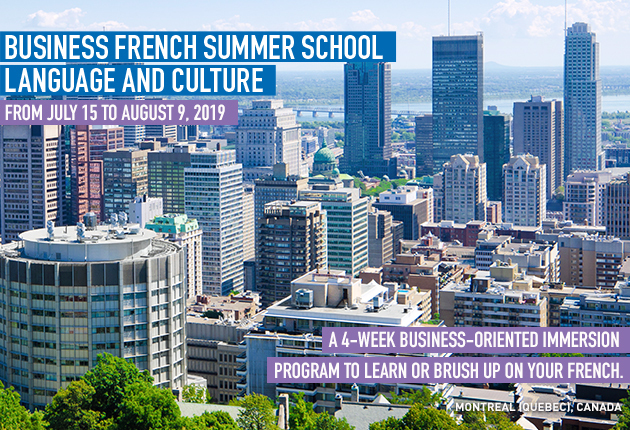 The Quebec government has agreements with some forty countries and a number of organizations, exempting students who come to study in the province from differential tuition fees. The quota depends on the student’s country of origin. Students must contact the persons responsible for managing this program in their home country. For further information, see the page on exemptions from the diffrential tuition fees on the Quebec government site.